How do you measure and track energy use in your building? Have you ever heard of the Energy Star Portfolio Manger? 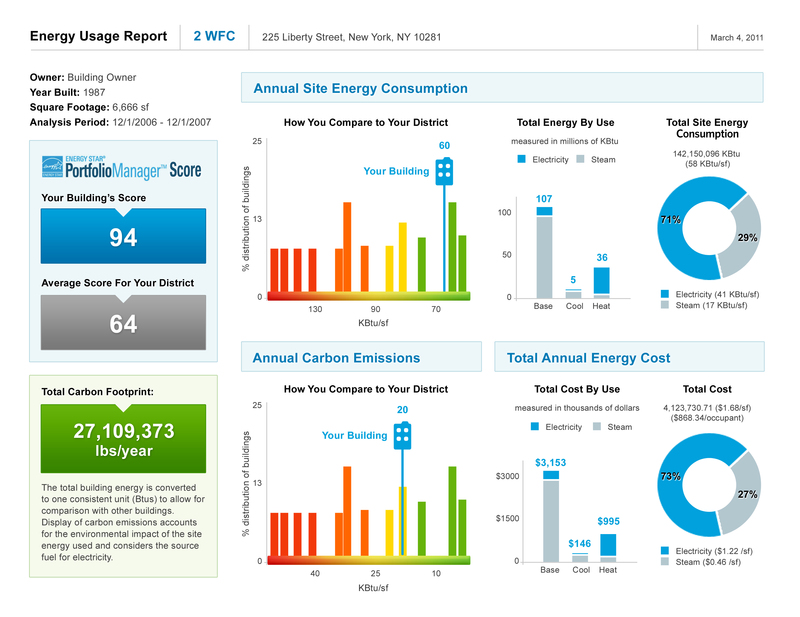 With this tool, you can manage and see energy and water usage in your building, and rate its performance. Portfolio Manager is an interactive energy management tool that allows you to track and assess energy and water consumption across your entire portfolio of buildings in a secure online environment. Whether you own, manage, or hold properties for investment, Portfolio Manager can help you set investment priorities, identify under-performing buildings, verify efficiency improvements, and receive EPA recognition for superior energy performance. You’ve heard it before: you can’t manage what you don’t measure. That’s why EPA created ENERGY STAR Portfolio Manager®, an online tool you can use to measure and track energy and water consumption, as well as greenhouse gas emissions. Use it to benchmark the performance of one building or a whole portfolio of buildings, all in a secure online environment. In September 2010, the U.S. EPA initiated the process of upgrading the ENERGY STAR Portfolio Manager tool to improve its speed, usability and functionality. The full upgrade will take place over a period of 18-24 months. EPA is very excited about building on past successes in producing the next generation of Portfolio Manager. As a healthy start to this effort, this fall EPA is focusing on soliciting comments for the upgrade through a variety of activities. Stakeholders using Portfolio Manager are encouraged to provide feedback to ensure a comprehensive assessment and useful upgrade of the tool.